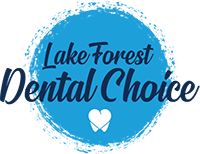 Lake Forest Dental Choice - Lake Forest Dental Choice is the dentist near you providing general, cosmetic & wellness treatments with attractive offers for new and existing patients. If you want to find a dentist near you in San Diego city, consult Dr. Rebecca A. Marsh from the Hillcrest Dental Arts in San Diego, CA. Lake Elsinore Casino is known as California’s Friendliest Card Room where you’ll always have a great time when you’re playing a card game with us.